7/7/2016 | Scented Splendors -The Art of Incense Burners- — dai ichi arts, Ltd. The spread of Buddhism from China to Japan in the 6th century brought many new rituals and practices to the island country, including paper, incense, medicine, tea leaf and Chinese Character, Kanji 漢字. Many ceremonial items also served functional purposes: tea was originally utilized for medicinal purposes, so did incense, Buddhist priests incorporated fragrant wood into their garments and Buddhist scriptures to repel insects. Wood from fragrant trees such as cedar, cypress, and others has been burnt during religious ritual since time immemorial. Incense was also used as a marker of class. "Kneaded incense" - in which aromatic ingredients are blended and kneaded into soft pieces, which are then left to mature - was used in the homes of noble families and warriors, and court ladies were often found wearing a piece of fragrant wood as a sign of status and their identification. 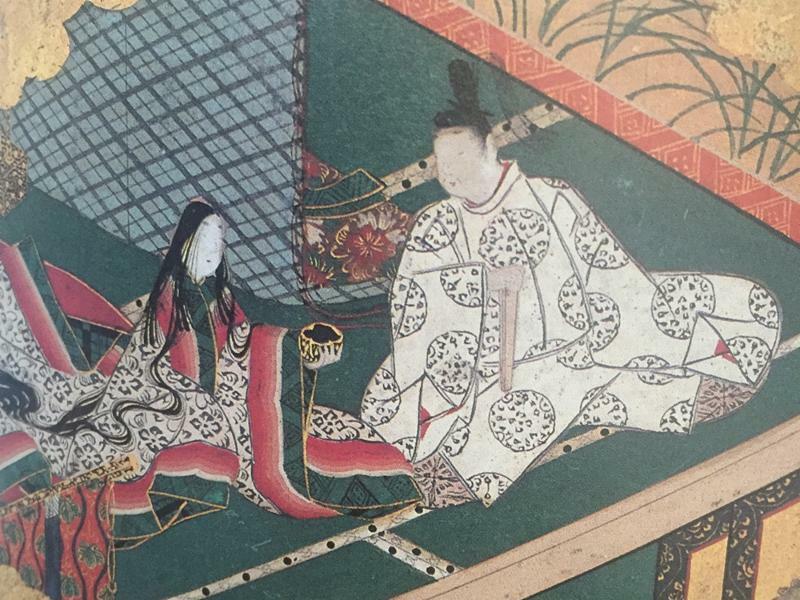 An incense appreciation can even be found in the 11th century masterpiece of Japanese literature, the Tale of Genji. Incense is believed to expel evils, to refresh the environment, purify the spirit, and to provide a calming and pleasant atmosphere. This art became popular long before the establishment of the tea ceremony in Japan, but in the 13th and 14th centuries the incense ceremony became one of the three classical Japanese arts of refinement, along with the tea ceremony, sado 茶道 and flower arrangement, kado 華道. The kaiseki 懐石 meal developed alongside these arts, and the meal became a part of the ceremony. The incense ceremony, or kohdo 香道, often also includes a game in which certain scents hold clues to classic poems. Today, there are still two major schools in Japan practicing the centuries-old rituals of incense ceremony. Their ceremonial utensils can be bronze, lacquered wood, glass, or ceramic. Recently, there has been a surge of trading and auctioning of fragrant wood in China after a long period in which the art was seemingly lost. In Japan, however, the art of incense has never been lost. There are still many stores selling incense in Japan due to its use in religious practice, such as Yamada Matsu in Kyoto and Shoyeido. Both of these originated in the Edo period and are still burning and selling incense today. Just as the shops continue to sell, many artists continue to create beautiful works that are to be used in the incense ceremony. Over the next eight weeks we will present over 30 incense burners and incense boxes by some of our favorite ceramic artists. Their talents can help us explore new possibilities within this ancient art form. Burn a stick of incense and bring a moment of peace to your busiest hour. It promises to refresh your mind and body! Mark your calendar for the September 15 opening of our exhibition, and please join us to appreciate beautiful ceramics and peaceful aromas.